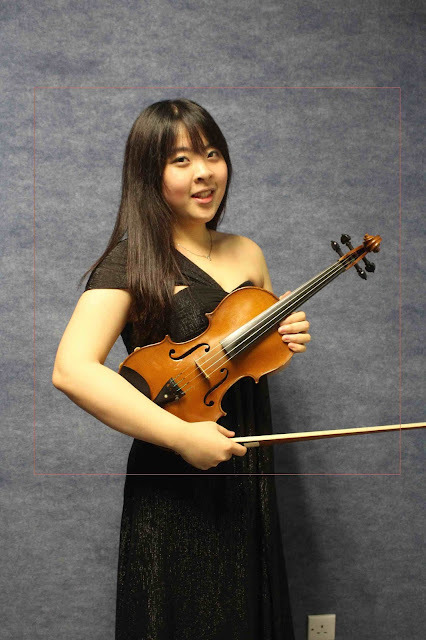 Fangting has a solid technical and musical foundation owing to her persistent practice, she started her violin study when she was only three. Unlike other students, she has poor sight, but for every piece that she learns, she is able to play it from memory, with her sensitive listening and great memory. With her study of major violin in Fujian Vocational College of Art when she was 12 years old under Peiru Wu. She came to Macau and attended Macau Polytechnic Institute in 2010 under Chen Gu who is the concertmaster of Macau orchestra. She is a current Master of Music candidate at Boston University College of Fine Arts studying with professor Dana Mazurkevich, she had gotten the Performance Diploma in 2016 as well. She was as the concertmaster in BU chamber orchestra at her first year in BU. In addition, she took part in the BU soloist competition as the finalist. Fangting is an active musician who has performed numerous concerts and recitals. In 2014, she was invited to perform in the Coimbra University, Leira Polytechnic Institute and Lisbon University in Portugal. In 2013, she also performed exchange concerts in National University of Taiwan. She has also participated in many master classes such as Huang bin, Adam Kostecki, Marcin Branowski, Christoph Seybold, He Xian, and Liang Danan. additionally, music festivals, including the Kunst und Frieden International Kulturel Festival in Germany in 2013, and many violin competitions. She entered the international string competition in Thailand, and was also the First Prize Winner (Junior Division) of the 2nd “Haixia” Violin Competition of Fujian Province in 2012.